The backgrounds are incredible. They would provide a nice atmosphere for a game. As mentioned in most of your other (great) works - fantastic! Thank you so much! We love your pixel style! I am in awe. 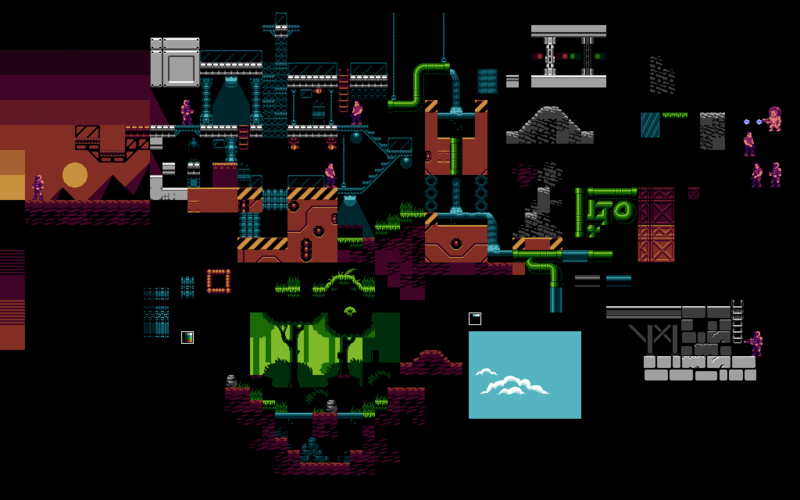 Awesome work there, I hope I can do something with your tilesets at some point. I am using part of those tiles in my game (rockbot.upperland.net). Your work is bestial. I love it.